Visit Cinderford Gloucestershire and the surrounding villages and stay in b and b, hotel or holiday home accommodation provided by BedPosts members. The small town of Cinderford in Gloucestershire lies on the edge of the Forest of Dean with a population of about 9000. The town's rapid growth was due to the iron and coal industries. Its long rows of identical terraced housing are like those Welsh coal mining towns. Mounds of cinders arising from the ironmaking process gave rise to the town's name around 1258. 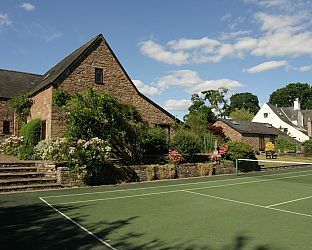 If you seek accommodation near Cinderford in Gloucestershire you have come to the website of a “club” of providers who offer affordable quality accommodation around UK in hotels, bed and breakfasts, guesthouses, inns, and restaurants plus self-catering cottages and apartments .